The services of this website www.sunshineeducation.org ("Website") are available only to the registered users ("Users") on a single user basis, for a particular period of time on making the stipulated payment and abiding by the applicable terms and conditions. The said services are personal in nature and cannot be assigned or transferred to or shared with any other person other than the registered users. Access to the Sunshine services and content is subject to these terms and conditions. For registration the User shall give accurate information and, where such information changes over time, update such information (to the extent possible: online) without undue delay. The User shall ensure that its e-mail address, as supplied to www.sunshineeducation.org is current at all times and an address at which the User can be contacted. If you are directly subscribing as a user of this Website, you represent and warrant that you are at least 18 years of age and that you possess the legal right and capacity to use the services of Sunshine in accordance with the stated terms and usage policies. In cases, where a minor below the age of 18 years of age, wants to use this website, such a user shall duly register himself through his parent/ guardian and such a parent/ guardian hereby agrees to accordingly register and supervise usage by, and be responsible for the action of any such minors who use the computer and/or password to access the site. The parent/ guardian shall enter into this agreement on behalf of such minor, and bind himself/herself in accordance with all terms and conditions herein. Receive promotional mails/special offers from the Website or any of its partner websites, if any; and/ orbe contacted bySunshine in accordance with the privacy settings set by you. Upon registration the User will be provided with an access code, comprising a User ID and a password ("User Data").On first access the User shall promptly change the password received from www.sunshineeducation.org into a password known only to the User. The User Data allows the User to view or change its data or, as applicable, to withdraw its consent to data processing. The User shall ensure that User Data is not accessible by third parties and is liable for all transactions and other activities carried out under its User Data. At the end of each online session, the User shall log-off from the password protected websites. If and to the extent the User becomes aware that third parties are misusing its User Data the User shall notify www.sunshineeducation.org thereof without undue delay in writing, or, as the case may be, by e-mail. After receipt of the notice under paragraph 3 (g), www.sunshineeducation.org will deny access to the password- protected area under such User Data. Access by the User will only be possible again upon the User's application to www.sunshineeducation.org or upon new registration. Please note that the password generated by you for accessing the Website should not be shared by you with anyone else at any time. Please also note that especially with regard to the Product/Service’s purchased by you, the same have been licensed to you by Sunshinefor your own use only and you cannot share your password with others or allow others to use the paid courses. This will be a gross violation of the license terms governing the paid Product/Service’s. Fee once paid is not refundable under any circumstances. The fee includes prevalent taxes & charges imposed by government authorities. If at any point of time, Government further increases taxes or charges the extra amount will be borne by the user from the date of enforcement of the act by the Govt. In case the Sunshine gives concession/discount/scholarship to any user/student and Government Charges taxes on such amount of concession/discount/scholarship, the amount in such case have to be borne by the user/student. The quantum of concession/discount/scholarship to be given to any user/student shall be as per the policy of Sunshine from time to time. The right to use the services of the Website is on revocable license / permission granted by the Sunshine to the user. The License is non-exclusive and non-transferable license, which may not be sublicensed, to use the information, website and documentation made available to the User on or via the www.sunshineeducation.org Web Site to the extent agreed or in the event of no such agreement to the extent of the purpose intended by www.sunshineeducation.org in making same available to the user on the terms and conditions contained herein. Except the usage of the services during the license period, the registered users shall not have any right or title over the Website or any of its contents. If you provide any information that is untrue, inaccurate, not up-to-date or incomplete, or if Sunshine has reasonable grounds to suspect that such information is untrue, inaccurate, not current or incomplete, Sunshine has the right to suspend or terminate your account and refuse any and all current or future use of the services (or any portion thereof). All prices are subject to change without notice. Every effort has been made to ensure accurate pricing of the Product/Service’s featured on our website. In the event a part or accessory is ordered and the listed price has changed, you will be notified prior to our processing your order. Purchase "as is." You agree that all Product/Service’s purchased by you through this website are provided under warranties, if any, of the manufacturer only, and not by Sunshine. All Product/Service’s are provided by Sunshine on "as is" basis with no representations or warranties of any kind from Sunshine. Excepting for Private use and non- commercial use, none of the Contents may be copied, reproduced, distributed, republished, downloaded, displayed, posted electronically or mechanically, transmitted, recorded, in any manner, photocopied, or reproduced without prior written consent of Sunshine. Any other use of materials on this website, including any commercial use, reproduction for purposes other than that noted above, modification, distribution, or republication without the prior written consent of Sunshine is strictly prohibited and may violate copyright or trademark laws. Sunshine can ask for student/user’s photograph, roll number etc. Sunshine reserves the right to use the photograph for publicity in case the student/user secures position / succeeds in Entrance Exams. The student/user should also staple three extra photographs with the form. Student/users enrolled with Sunshine will have to provide photocopy of Admit Card of Entrance Exams. as soon as they receive their admit cards from the examining body. Sunshinereserves its right to make any alteration in its programs / venue / timing without any prior notice to anybody. The decision of the Sunshine will be final and binding on the student/users and the parents. Restrict, discourage or inhibit any person from using the Sunshine Services / Products, disclose personal information about a third person on or through Sunshine Services / Products / website or obtained from Sunshine Services / Products / website without the consent of such person or collect information about Users of the Sunshine’s website. Undertake, cause, permit or authorize the modification, creation of derivative works, translation, reverse engineering, decompiling, disassembling or hacking of any aspect of the Sunshine E Services / Products / website or any part thereof, or attempt to do any of the foregoing, except and solely to the extent permitted by these Terms, the authorized features of the Sunshine Services / Products / website, or by law, or otherwise attempt to use or access any portion of the Services other than as intended by Sunshine. Gain unauthorized access to the Services, accessible to other Users' accounts, names or personally identifiable information, or to other computers or websites connected or linked to the Services. vii. Remove, disable, damage, circumvent or otherwise interfere with any security-related features of the website, features that prevent or restrict the use or copying of any part of the website or any content accessible on or through website, or features that enforce limitations on the use of the website or any content accessible on or through website. Assist or permit any persons in engaging in any of the activities described above. Any unauthorized or prohibited use of the Sunshine Services / Products / website or Sunshine Content may subject the offender to civil liability and criminal prosecution under applicable central law or state law or local laws. Sunshine reserves the right to remove any content or links that allegedly infringes any other person's copyright at any point of time. Sunshine may, without charge, use any ideas or proposals stored by a User on the www.sunshineeducation.org Web Sites for the development, improvement and sale of its Product/Service’s. All the Contents on the website are proprietary to Sunshine except the data / queries posted / uploaded by the users. All material available on this website sunshine.com including but not limited to, its design, text, graphics, screen shots, files and the selection and arrangement thereof is protected by copyright laws. The owners of the intellectual property, copyrights and trademarks are Sunshine, its affiliates or third party licensors. Any modification, copying, reproduction, republishing, uploading, posting, transmitting or distributing any material on this Website including text, graphics, code and/or software is expressly prohibited. No recourse shall be taken against Sunshine for any alleged or actual infringement or misappropriation of any proprietary rights in your communications to Sunshine. At any stage, it is believed that the contents appearing on this Website constitutes copyright infringement of another person's rights, the user may communicate the same to us. Further, Sunshine may certify an answer posted by a user to be correct or not. This however does not mean that Sunshine has checked whether the answer has or has not been copied by such user from any other source without authorisation. Sunshine shall surely look into any concern of this nature that is brought to its attention. It is for the student/user to see whether he/she is eligible for a certain Medical Entrance examination or not. The Sunshine does not hold itself responsible if a user/student's admission form cannot be forwarded or is rejected by the examination body on any ground whatsoever. Such a user/student cannot claim a refund of the whole or any part of the fee he/she has paid to the Sunshine. It is the endeavour of Sunshine to ensure that the information provided on the Web site is accurate but does not guarantee or warrant its accuracy, adequacy, correctness, validity, completeness or suitability for any purpose, and accepts no responsibility with respect to the information on the Website. Use of this Website, by implication, means that you have gone through and agreed to abide by the Terms and Conditions and the Disclaimers of this Website. Sunshine does not claim that the information downloaded are up to date, correct and error free or that the servers that make Sunshine site available, are free of viruses or harmful components. Any reliance on the service or database available through this service, is at the user's own risk. Though due care has been taken to make the database completely reliable and error-free, Sunshine claims exemption from any liability arising out of any such error in the data base. Insofar as any information or documentation is made available at no cost, any liability for defects as to quality or title of the information and documentation especially in relation to the correctness or absence of defects or the absence of claims or third party rights or in relation to completeness and/or fitness for purpose are excluded except for cases involving wilful misconduct or fraud. The information on the www.sunshineeducation.orgWeb Site may contain specifications or general descriptions related to the technical possibilities of individual Product/Service’s which may not be available in certain cases (e.g. due to Product/Services’ changes). The required performance of the Product/Services’ shall therefore be mutually agreed in each case at the time of purchase. Although Sunshinemakes every endeavourto keep the www.sunshineeducation.org Web Site free from viruses, Sunshine cannot make any guarantee that it is virus-free. The User shall, for its own protection, take the necessary steps to ensure appropriate security measures and shall utilize a virus scanner before downloading any information, software or documentation. do not intend nor imply any changes to the burden of proof to the User's disadvantage. Loss, injury, claim, liability or damages of any kind resulting from the use of or the inability to use the services / data in the Website, even if Sunshine had been advised of the possibility of such damages and regardless of the form of action, whether in contract, stated or otherwise. Any material downloaded and used shall be at the risk of the user and no services utilised by this Web site shall create any warranty. Sunshineshall not responsible if any information/page is downloaded from Sunshine and after downloading complete/partial, text/information is altered/removed/obscured contained therein. Sunshine and/or its respective suppliers make no representations about the suitability, reliability, availability, timelines, of the products and services contained on the Web site for any purpose. All products, services are provided "as is" without warranty of any kind. and/or its respective suppliers hereby disclaim all warranties and conditions with regard to this information, products, services including all implied warranties and conditions of merchantability, fitness for a particular purpose, title and non-infringement. In no event shall Sunshine and/or its suppliers be liable for any direct, indirect, punitive, incidental, special, consequential damages or any damages whatsoever including, without limitation, damages for loss of use, data or profits, arising out of or in any way connected with the use or performance of the Sunshine Web site, with the delay or inability to use the Sunshine Web site or related services, the provision of or failure to provide services, or for any information, software, products and services obtained through the Sunshine Web site, or otherwise arising out of the use of Sunshine Web site, whether based on contract, negligence, strict liability or otherwise, even if Sunshine or any of its suppliers has been advised of the possibility of damages. As a user of this Web site, you agree to protect and fully compensate Sunshine and its domain's associates, such as, service providers and technology partners, from any and all third party claims, liabilities, damages, expenses and costs, including, but not limited to, all legal expenses, arising from your use of services on this domain, your violation of the terms or your infringement by any other use of your account, of any intellectual property or other right of anyone. There may be third party information, advertisement, and schemes displayed through this Web site. Sunshine disclaims, to the fullest extent permissible, the correctness, viability, availability, merchantability or fitness of such information, advertisement and scheme. Sunshine hereby declares that the advertisers and their clients etc. are neither its agent, partner nor principal and Sunshine does not provide any guarantee or warranty or any representation on behalf of any of the advertisers or their clients. a.	Sunshine tries its best, but does not guarantee that the services will be error free, or continuously available, or that the service will be free of viruses or other harmful components. This Agreement does not in any manner create any relationship whatsoever as between user and the Sunshine, either as a joint venture, partnership, employment, or agency relationship. Performance of this agreement by Sunshine is subject to existing laws and legal process in India, and nothing contained in this agreement is in derogation of the rights of Sunshine to comply with governmental, court and law enforcement requests or requirements relating to your use of Sunshineor information provided to or gathered by Sunshine with respect to such use. Unless otherwise specified herein, this Agreement constitutes the entire agreement between the user and Sunshine with respect to the Sunshine site and it supersedes all prior communications and proposals, whether electronic, oral or written, between the user and Sunshinewith respect to the Sunshine site. Sunshine can change terms of usage anytime. Sunshine reserves the right to make any change in its data/ material/Product/Services’ without any prior notice to anybody. In case of any dispute or difference between you and Sunshine regarding the interpretation of these terms and conditions, non-payment of any claim or any dispute arising out of or in pursuant to these terms and conditions, the same shall be referred to sole Arbitrator who shall be appointed by Chairman of M/s Sunshine Training And Education Private Limited. The proceedings shall be conducted at Mumbai under the provisions of Arbitration & Conciliation Act and the Courts at Mumbai only shall have the jurisdiction over the matter and/or for enforcement as the case may be. If an Arbitrator to whom the matter is referred refuses to act or for any reason, does not enter the reference or after entering into the reference proceedings are abandoned or kept in abeyance or not proceeded with, it shall be lawful for the Chairman of M/s Sunshine Training And Education Private Limited to appoint another person to act as Arbitrator in the manner aforesaid. Such person shall be entitled to proceed with reference from the stage at which was left by his predecessor, if both the parties consent to this effect, failing which the Arbitrator will be entitled to proceed de novo. Viewing of videos if any should be within reasonable limit. It is on discretion of Sunshine to put limit on this. Sunshine, on its discretion, block access to any user without any prior notice. Sunshine is not liable for any poor result of student/users. Sunshine will try its best to prevent technical issues, portal downtime and mistakes in content, but it cannot be held liable for those. You cannot copy, download or circulate the content by any means (print screen, download, video recording etc. ), it is violation of the copyrights of Sunshine. The place of jurisdiction shall be Mumbai, India. The individual pages of the www.Sunshineeducation.org Web Site are operated and administered by Sunshine and/or its affiliates. The pages comply with the law applicable in INDIA where Sunshine has its business residence. Sunshine makes no representation that information, data and/or documentation on the www.sunshineeducation.org Web Site are appropriate or available for viewing or downloading at locations outside India. 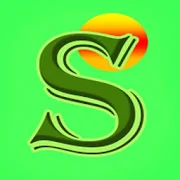 If Users access www.sunshineeducation.org Web Site from outside India, they are exclusively responsible for compliance with all applicable local laws. Access to www.sunshineeducation.org Web Site's information / documentation from countries where such content is unlawful is prohibited. In this case and where User seeks to do business with www.sunshineeducation.org, the User should contact the Sunshine, at its Mumbai office. It is compulsory to attach self-attested photocopy of mark-sheet of class X / XI / XII. Once package fee, booking amount and/or installment(s) have been paid, under no circumstance a refund request will be entertained. Package once sold, cannot be cancelled or taken back. Students once enrolled into Online Packages cannot claim for refund of amount or part of the amount; if he/she becomes disinterested during the Package due to any reason whatsoever. It is for the student to see whether he/she is eligible for a certain Entrance examination or not. The Company does not hold itself responsible if a student's admission form cannot be forwarded or is rejected by the examination body on any ground whatsoever. Such a student cannot claim a refund of the whole or any part of the Price, he/she has paid to the Company. It is compulsory for a student to attach/send a recent passport size photograph on or along with the application form. Company reserves the right to use the photograph and name of the student for publicity in all kinds of media, in case the student secures position / rank or succeeds in any Entrance Exams in India or any test at international level. reserves the right to make any change in its package or terms & conditions without any prior notice to anybody. Any change of address or phone numbers should be notified to the Online Division without any delay through a written application. If the dispatch is returned due to change of address or any reason whatsoever, Rs. 500 will be charged for sending the dispatch again. If at any point of time, the Govt. further increases tax rate the extra amount of taxes will be borne by the customers from the date of enforcement of the act by the Govt. Students applied for with Sunshinewill have to provide photocopy of Admit Card of All Entrance Exams as soon as they receive their admit cards from the examining body. Sunshine Online Learning can be accessed on PC, Laptop or Tablet PC over internet (with available bandwidth of at least 1 mbps). Student should ensure that he/she has got the right device with such internet connection. End Use-The educational content on the www.Sunshineeducation.org is Licensed Educational Content for personal, single user, non-commercial use by students of that class only. Without limiting the foregoing, the Licensed Educational Content shall not be used, distributed or otherwise exploited for “commercial advantage or private monetary compensation" under the End Use License. The following are types of uses that Sunshine expressly defines as "commercial use"
c.	sharing of the pass word with the non-registered users, with or without a fee. In case of any dispute or difference between you and Company regarding the interpretation of these terms and conditions, non-payment of any claim or any dispute arising out of or in pursuant to these terms and conditions, the same shall be referred to sole Arbitrator who shall be appointed by Chairman of M/s Sunshine Training And Education Private Limited The proceedings shall be conducted at Mumbai under the provisions of Arbitration & Conciliation Act and the Courts at Delhi only shall have the jurisdiction over the matter and/or for enforcement as the case may be. If an Arbitrator to whom the matter is referred refuses to act or for any reason, does not enter the reference or after entering into the reference proceedings are abandoned or kept in abeyance or not proceeded with, it shall be lawful for the Chairman of M/s Sunshine Training And Education Private Limited to appoint another person to act as Arbitrator in the manner aforesaid. Such person shall be entitled to proceed with reference from the stage at which it was left by his predecessor, if both the parties consent to this effect, failing which the Arbitrator will be entitled to proceed de novo.